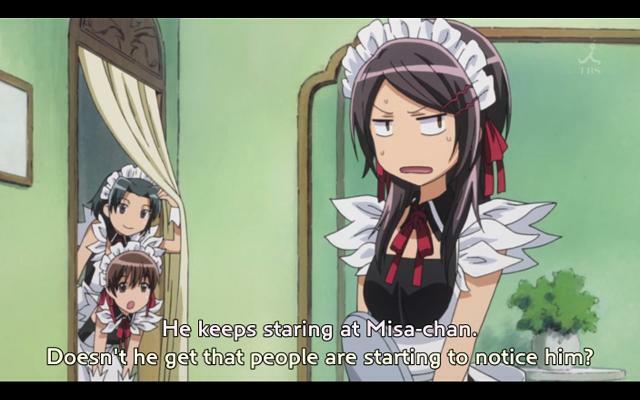 Kaichou wa Maid-Sama is a prime example of why I dislike first episodes. A standard let’s introduce the plot and characters episode. I believe it’ll turn into something good, I have a lot of faith in J.C. Staff, but it was still a pretty standard and kinda dull first episode, especially compared to the other two shows I’ve watched this season. I didn’t like Misaki too much. She has a lot about her to admire, rising to student president status, but at the same time, she comes off as a sexist uptight brat. Seriously, why are student council members almost always such jerks? I think part of the point of the series is for her to grow as a character and become more likable. Until then, I’ll enjoy watching her suffer. Also, I’ll enjoy the fact that she makes a hot maid. Otherwise, she gives the series a His and Her Circumstances feel, and I’ve already watched that. 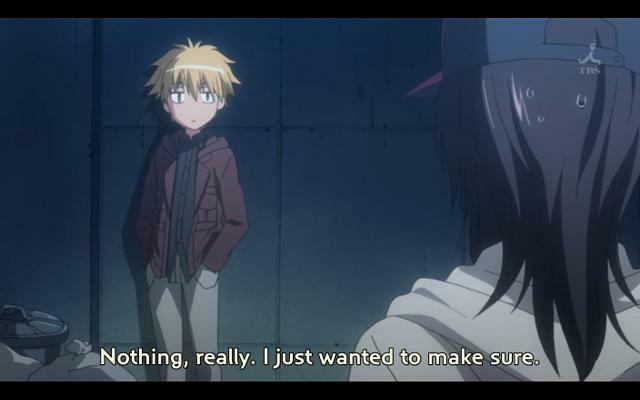 However, what’s keeping me interested in the series is Usui. He’s definitely nothing like the guy in His and Her Circumstances, and reminds me more of Ryu from Kimi ni Todoke. Though he cares a little more then Ryu does. 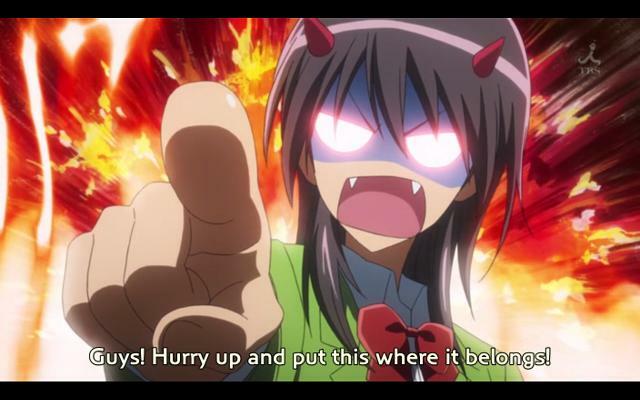 Still, like every girl in this world, I find him totally great, and want to see him make Misaki mad some more. He has the potential to be a great male character. We’ll just see. I’m hoping next episode will present an idea what the stories in this show will be like, as the first episode doesn’t give me a good handle on it. Usui is kinda like Ryu, except unlike Ryu he doesn’t have ANYTHING he’s bad at, like literally. Hopefully she’ll change fast enough to make this series work though. in my point of view,, you’re just simply annoyed and jealous of what the character is.. i know the fact that it is boring at first but we’ll never know what surprises the anime director (or something) has instore for us.. if you want to change the character’s attitude fast,, the anime would be boring and would end easily,, but i still hate the face that episode 1’s (for all the animes) tend to show the plot easily.. if you dislike the anime, then you should read the manga instead..
First off, I had a really hard reading your post. Please proofread next time. Anyway, I’m not sure you understand the point of my post, which was to give my opinion on the first episode. I’m not jealous of her in the least, I’m glad to not be an angry sexist person, but I do find her very hard to like. I feel like this must be your first time reading my blog, in that case, welcome, but I usually do stick with anime I believe has potential.